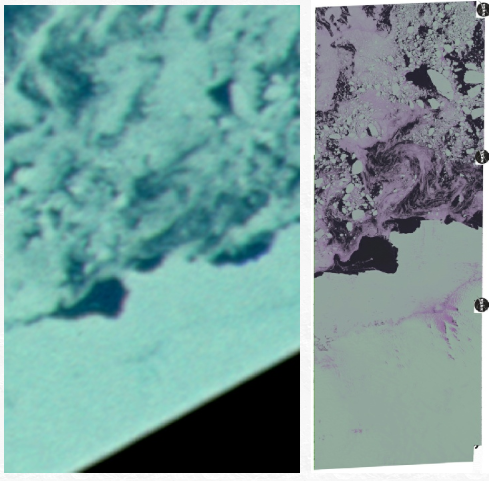 A new addition to my exploration of Apollo imagery: Landsat. 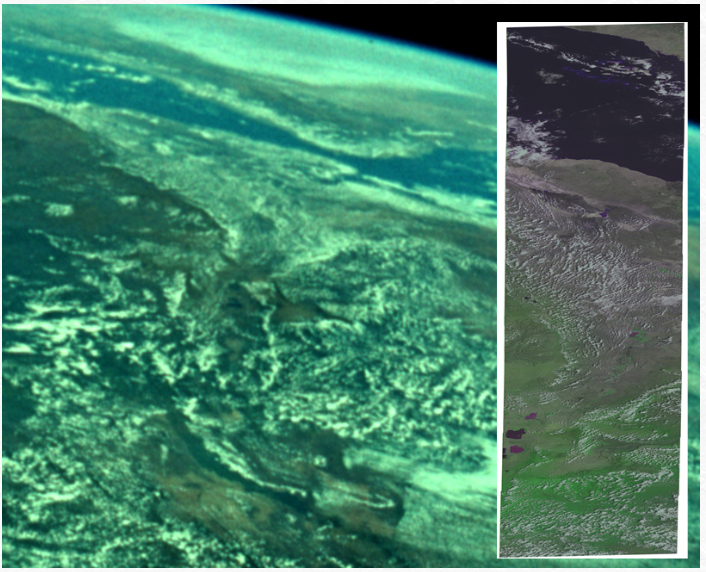 The first Landsat satellite was launched in July 1972, and there are several dates in the Apollo 17 mission where image paths taken by it coincide with Apollo 17 photographs of Earth. Landsat images are available via the earthexplorer website https://earthexplorer.usgs.gov/ where you can download kmz files to import into Google Earth, from which you can then download higher resolution imagery. I've compiled the individual tiles into longer paths so that they can be compared with Apollo 17's Earth imagery. 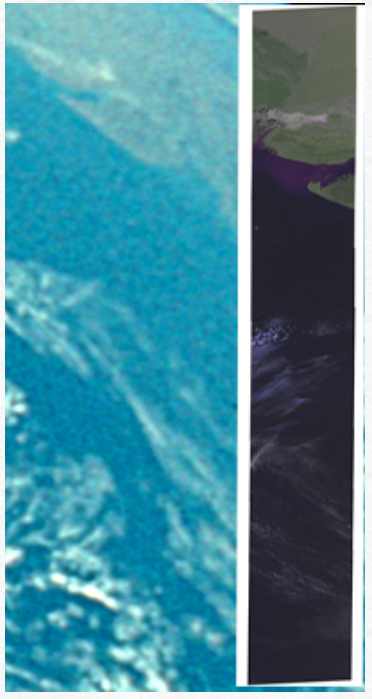 As the Earth becomes increasingly distant the two data sets become difficult to reconcile thanks to Earth being out of focus, at odd angles, photographed many hours after Landsat, or just too distant, but in the early stages of the mission there are some fantastic comparisons to be made. Yup can also make out the area on AS17-148-22685, but it's at a much more oblique angle. It does, but there's a sliver of Antarctica in the bottom right corner. Ok, I enlarged the magnification and do see the ilet of Anartica. I've said many times, your eyesight is much better at finding those shapes than I. Cudos. Of course, no matter how well you do it, it'll never be good enough for a conspiracist. 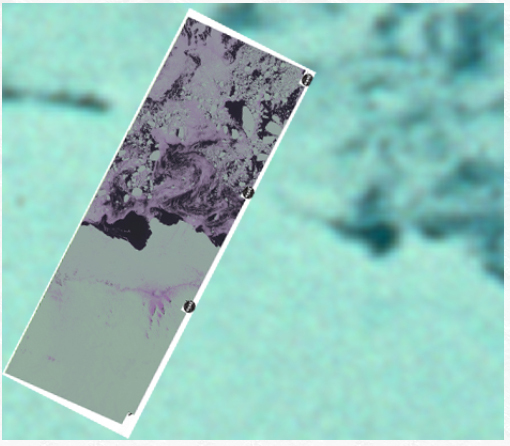 Oh I'm sure - highly suspicious that these colour satellite images are just like, there man, hidden away in plain sight, like they want you to find it and pretend like you joined the dots yourself. Even the existence of a 1988 document with one of the Landsat tiles in it (page 88 of this https://pubs.usgs.gov/pp/p1386b/p1386b.pdf ) has got to be some sort of trick right?